Using only the movie trailers as reference, Graham Gidman built this excellent little scene from Star Wars: Rogue One. Graham was able to create an accurate slice of the imperial-occupied city of Jedha and the people that inhabit it. There’s a ton of texture and personality in that tan building. 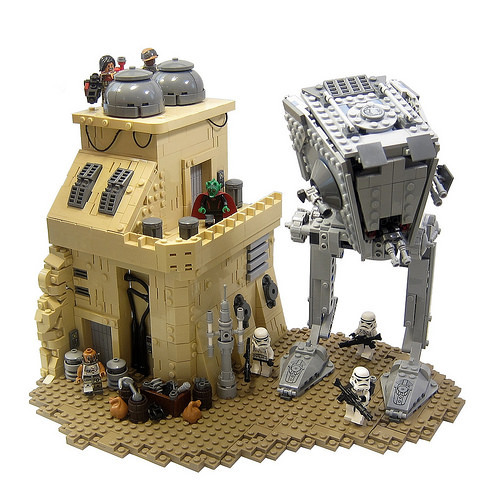 And if you think that AT-ST Walker looks like an official LEGO set, well you’re correct! (…it’s the 75153 AT-ST Walker).